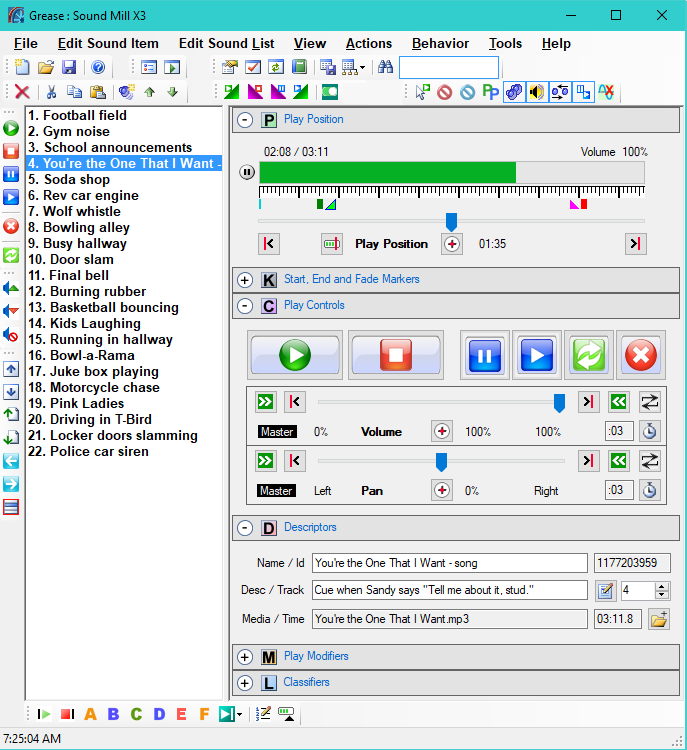 Sound Mill consists of a Sound List Editor, a Automator Editor and the Easy Player. Click on any image below to see a full size screen shot. Scale toolbars and menus large enough for finger touch access. Scaling size is up to you. 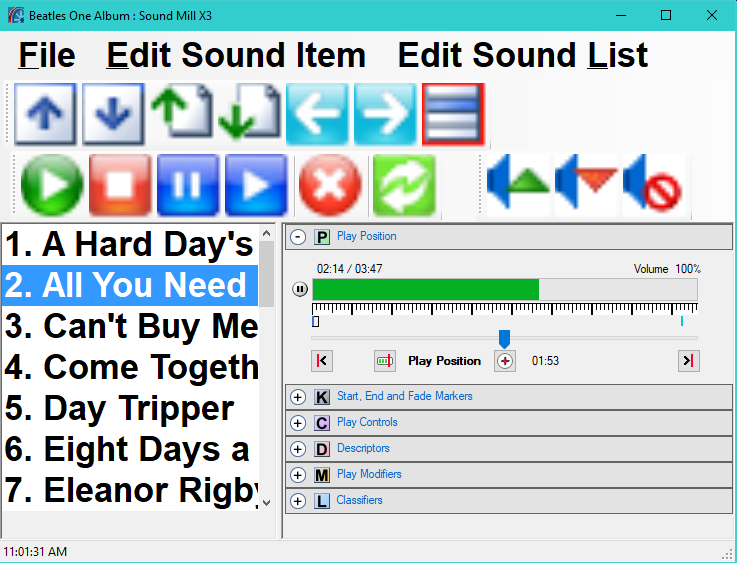 Tool bar for item selection (Up, Down, Page Up, page Down). Even menus are touch accessible. 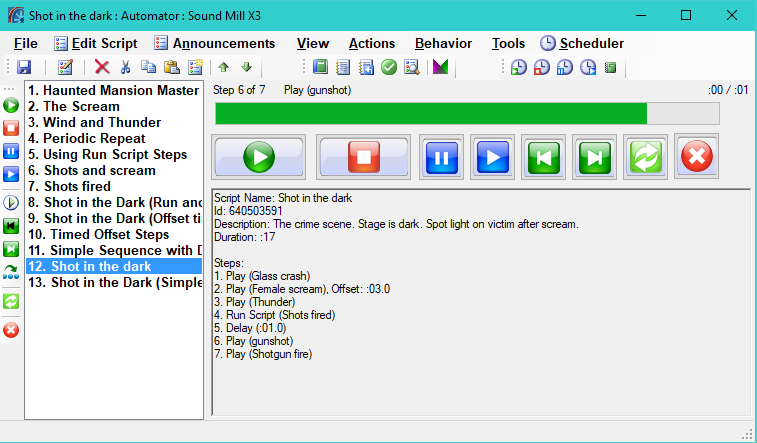 Create scripts to play multiple sound items in sequence. Time sound items to play after a given time expires. Schedule scripts and sound items to play at a time of day. Highly flexible, scripts can run other scripts. Perfect way to automate music programs interrupted by announcements. Designed for Solo/Stand-up Performers and Presenters; And for Kiosk applications. 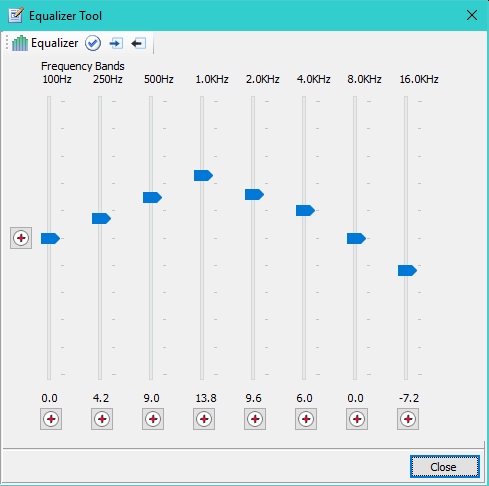 Control Sound Mill audio using a remote control device (range up to 130 feet). Text Cues with Large Fonts - Read from the back of the room. Create any number of Playlists. Graphic Cues - Use graphics mnemonic cues instead of text. Volume Bump Up/Down and Mute. Next and Previous Cue selection. 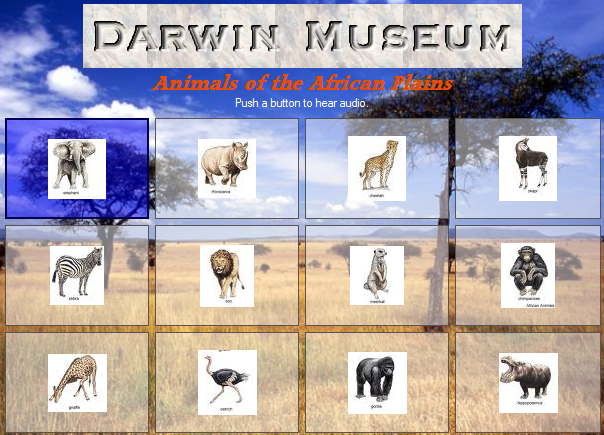 One or multiple columns of cue buttons can be configured. Easy Player can be operated as a Kiosk. Transparency effects for polished looking design. Autosize of visual elements or you set sizes as you desire. 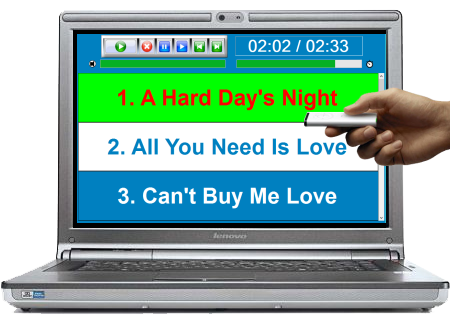 Run on any Kiosk device, touch screen or laptop. Apply a dark application skin to prevent eye strain in a darkened theater or venue. Several Windows High Contrast Themes available. Go to Windows Control Panel > Personalization. Switch from light to dark theme in seconds.